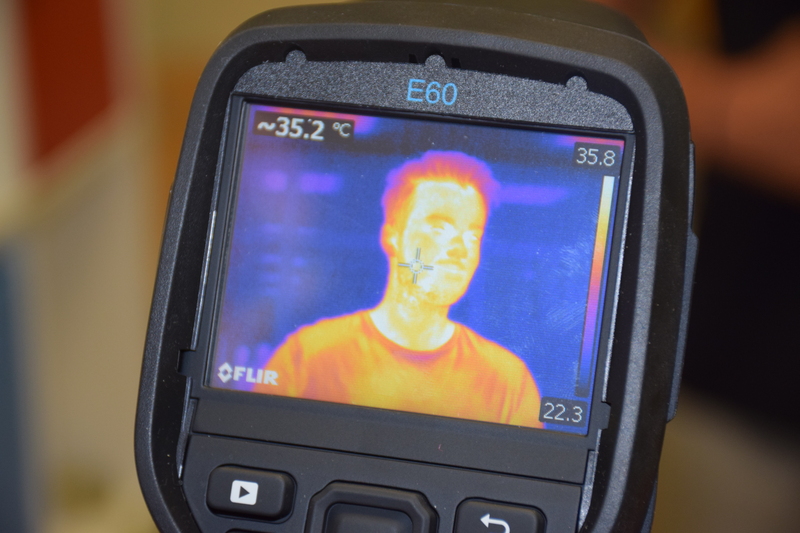 A thermography camera can be used th show the surface temperature of an object. By looking at a human be you can the the temperature of the skin. The students are using the camera to visualize the heat loss of differnt buildungs.